Marie Quintana recently served as the Vice President of Global IT Strategy, Planning and Capabilities for PepsiCo. She is a visionary and multidimensional executive skilled at identifying untapped business opportunities. 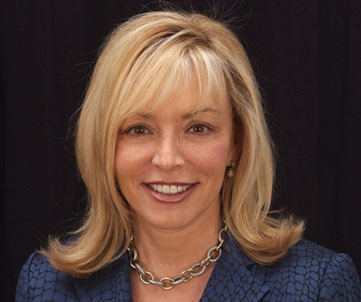 She is a recognized leader in turnaround and transformative change, known for orchestrating fully integrated business strategies, including mergers, consolidations, and global expansions, driving breakthrough gains in profitability. Navigates fluidly between strategic and operational roles. Fully bilingual in English and Spanish. She is an acclaimed keynote speaker. Quintana was featured as one of the Top 50 Hispanic Women in Business by Hispanic Business Magazine, named as one of the Top 50 Women in Grocery by Progressive Grocer and one of the Top 5 Latina Executives by Latina Style Magazine. She Developed and executed the sales activation strategies for PepsiCo multicultural initiatives. Drove the customer strategy for multicultural markets, taking an integrated approach to align brands, retail activation programs and community initiatives. Developed strategies to enhance consumer loyalty and strengthen partnerships with strategic customers. "Marie Quintana was a magnificent choice as our Keynote Speaker. She kept the audience fully engaged... She was brilliant! The program was a great success." --Meeting Executive, San Antonio Chamber of Commerce.